I’m late to the party here. Lauren Laverne’s already been bigging up this collaboration between Michael J Sheehy and former Dream City Film Club bandmate Alex Vald. I guess that’s the price you pay for having a full-time job that isn’t listening to and playing music, and you don’t have a production team to sift through your promos. I don’t begrudge Lauren getting in first, because I’m pleased to see the latest work by musicians who, in their former incarnation, recorded not one, but two Peel sessions. Dream City Film Club were band out of time, and the same may be true of United Sounds Of Joy. However, the way in which music is disseminated and received now as opposed to 20 years ago means that outside the mainstream at least, music is more likely to be accepted on its own merits rather than on the basis of prevailing fashions. There’s a strange polarity at play here: it’s harder than ever to break into the major league to achieve top-flight status and all that comes with that, in the form of international success, wealth and recognition. But the infinite fragmentation of everything beyond the mainstream means that bands can connect with niche-level audiences globally, and aren’t reliant on radio play or support at home to attain a degree of recognition. If there’s any justice, the channels now available will enable United Sounds of Joy to connect with the audience they merit. The music is wispy, vague, hauntingly intangible. Shimmering guitars tremolo in ‘The Sun That Hides a Darker Star, and the monotone spoken word of ‘Dust Veil’ cracks dryly over the sparse bassline and dark, pulsating industrial wasteland conjured by the crunching, mechanical rhythm. ‘Wounded Moon’ has something of a Michael Gira / Angels of Light quality to it, calling to mind the sparse, folkier later works, infused with a slow-burning drone. It’s a greatly understated work, at times it’s almost sonically subliminal – yet it still succeeds in achieving a most hypnotic effect. And that’s precisely why it warrants exposure, exploration, consideration. 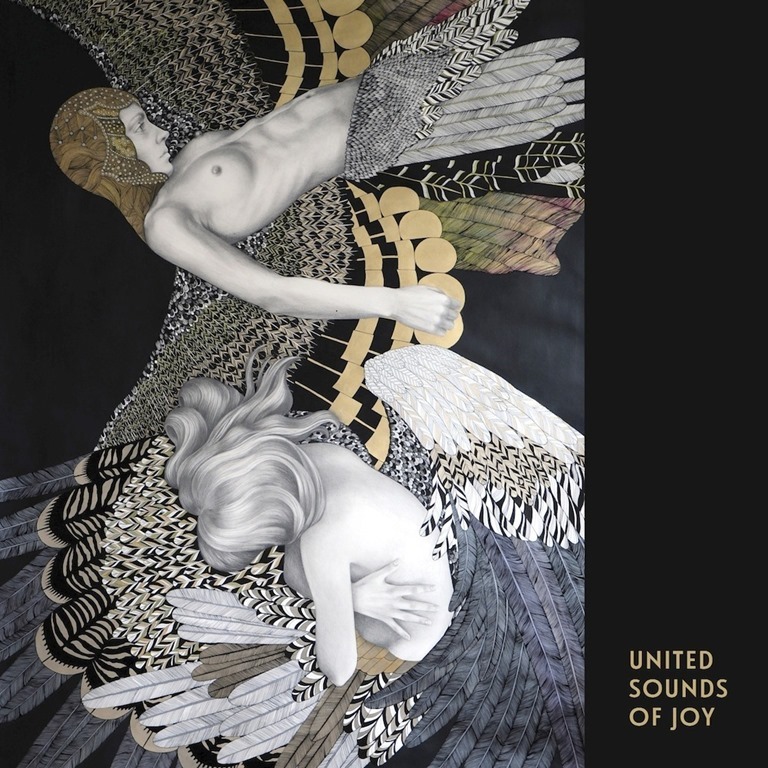 By no means an immediate album United Sounds Of Joy is most definitely an intriguing album, built on many layers. It’s not one to hurry, but one to explore.